Keep all your merchant relationships up-to-date with MerchantSync by Feeds4.com. Feeds4 MerchantSync is proprietary technology that allows publishers to import your merchant relationships from affiliate networks and sync them with your Feeds4.com publisher account. Publishers can automate the entire process of selecting your current merchant relationships in the publisher portal. Our Pro subscription plan offers publishers our most robust coupon datafeed available. You can learn more about how our Pro plan is helping the biggest publishers in the industry with their content management and data entry needs. 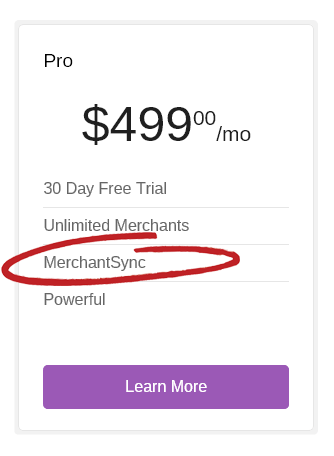 MerchantSync is currently available for Feeds4.com Pro subscribers. Publishers using our Select plan can upgrade at any time to get all the benefits of our syncing technology.